Henderson, Nevada, is not what most people think of when they picture the desert. With more greenery than any other part of the state, the city's neighborhoods resemble east coast communities with grassy lawns and tree-lined streets. Residents who want to experience the striking beauty of the desert and mountains can explore many miles of hiking and biking trails around the city. For other types of entertainment, the Las Vegas strip is just a short drive away. Home buyers who are looking for a beautiful and luxurious place to live should take a look at Homes for Sale in The Fountains Henderson. 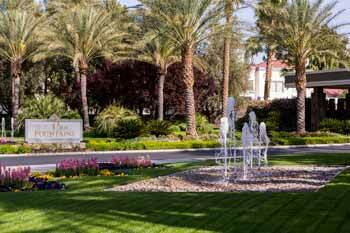 The Fountains is one of the most-sought-after guard gated communities in Henderson. After passing through the gates, residents drive down spacious neighborhood streets lined with trees that form a canopy up above. 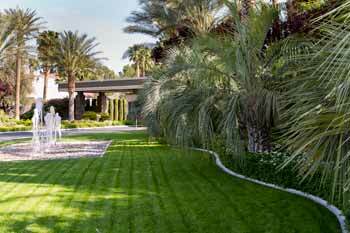 Lawns are meticulously cared for, and the upscale custom homes are beautifully designed in Spanish, Mediterranean, and Contemporary styles. Houses range in size from three bedrooms and 3 1/2 baths (around 2,700 square feet) to seven bedrooms and 8 1/2 baths (close to 10,000 square feet), and garages hold from two to four cars. Both one-story and two-story homes are available, and many feature luxuries like swimming pools, covered patios, and marble floors. Another reason why The Fountains gated community is such a popular place to live is the fact that residents can enjoy some unique amenities. The community was designed with a large park with a playground, barbecue area, as well as tennis and basketball courts. Wide streets encourage walking and cycling, and there is a sense of neighborliness among the residents because they get to know each other in the common areas they share. The spacious homes and the safety of the neighborhood draw many families seeking new listings in The Fountains Henderson. Other attractions include proximity to excellent schools, shopping, dining, a lake, a water park, and many other types of family-friendly entertainment. Henderson also has its own casino if residents don't feel like driving 20 minutes to the Las Vegas strip. 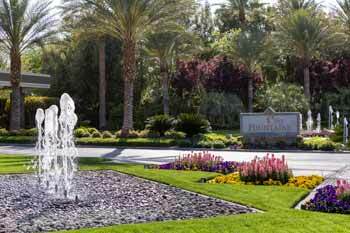 To discover some of the most elegant homes in one of the best neighborhoods in Henderson, contact us to schedule any showing in The Fountains.